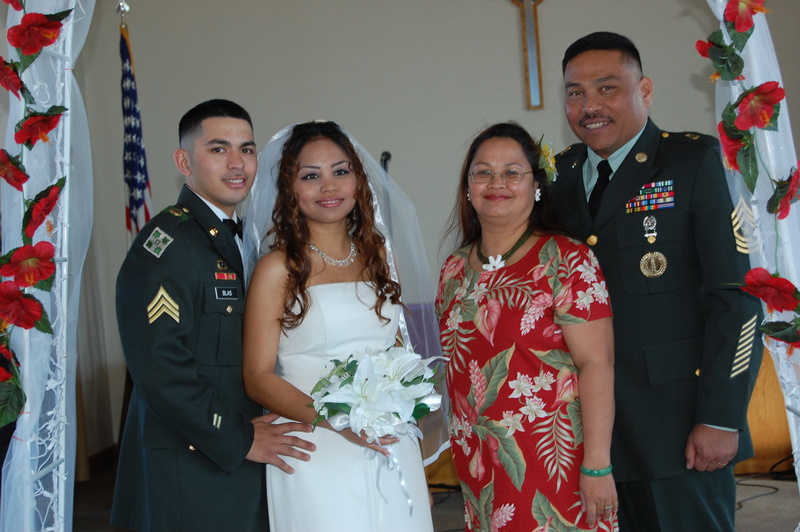 The newlyweds were married at the Biggs Army Airfield Chapel in El Paso, Texas on February 16, 2008. Congratulations Raymond and Marnecia! With the bride’s parents, Bro. Mark and Sis. Frances Ishmael. The whole family! Now how did ya’ll pull off an island wedding in Texas?? The newly married couple at their reception. This entry was posted on February 19, 2008 at 11:23 am and is filed under Announcements, Uncategorized. You can follow any responses to this entry through the RSS 2.0 feed. You can leave a response, or trackback from your own site. 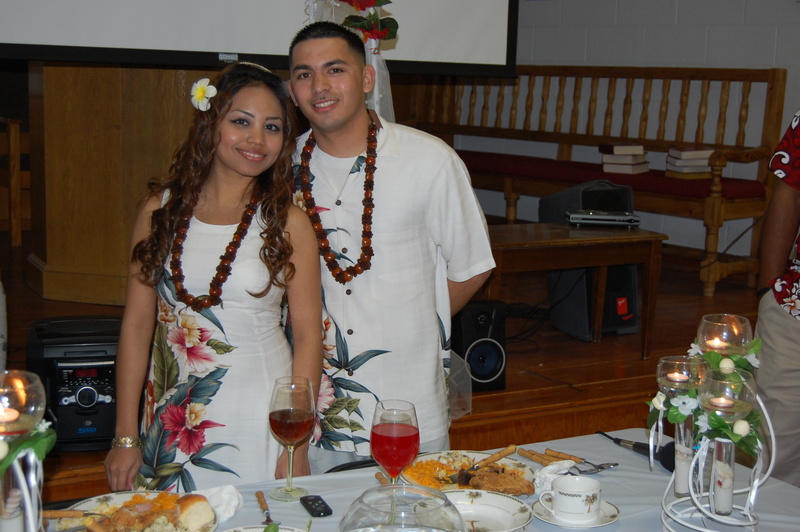 Congratulations Raymond & Marnecia, Blas and Ishmael families. What a wonderful blessing when two of the Lord’s people are joined in marriage! We hope to meet you someday, Raymond. Congrtulations to both the Bride and Groom!!!!!!!!!! God Bless Your Beautiful Marriage. We hope to see you again one day soon……. Hey, good to see pictures of you all. We miss you guys. How many of your children are married now? Frances, are you a grandmother?